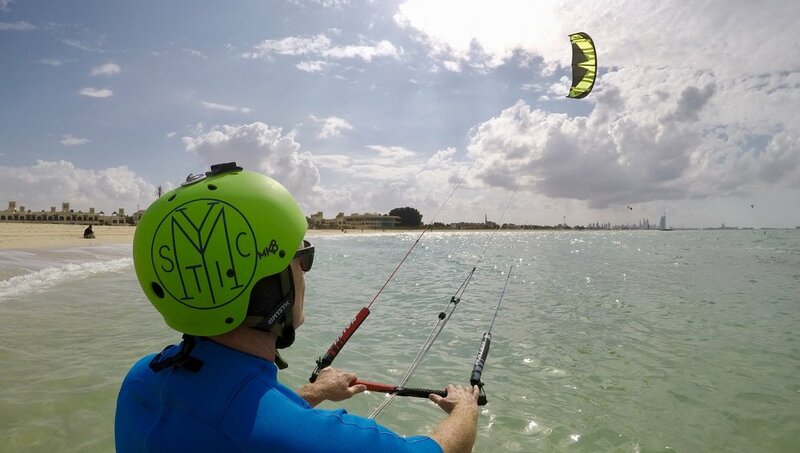 Experience the thrill of kitesurfing with our unique tandem riding offer! 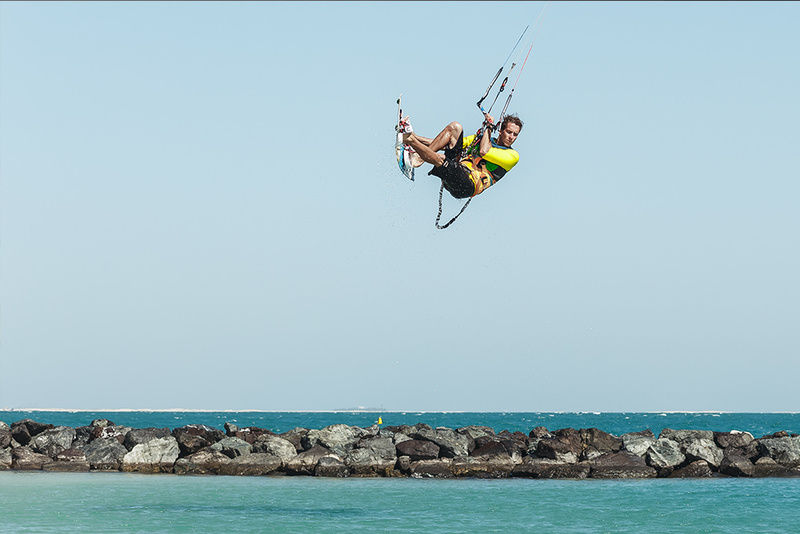 Kite Zone Dubai is your premium local Kitesurfing and Stand-up Paddle Boarding school in Dubai. Based at Ness Nass beach in Jumeirah, we are just a 10/15 minute drive out of the city centre. Our instructors are all certified kiteboarding professionals with international teaching experience and a strong passion for what they do. We know that you want to learn to kitesurf in Dubai in the quickest, safest, and most fun way possible, and we are here to help make sure this is exactly what happens! 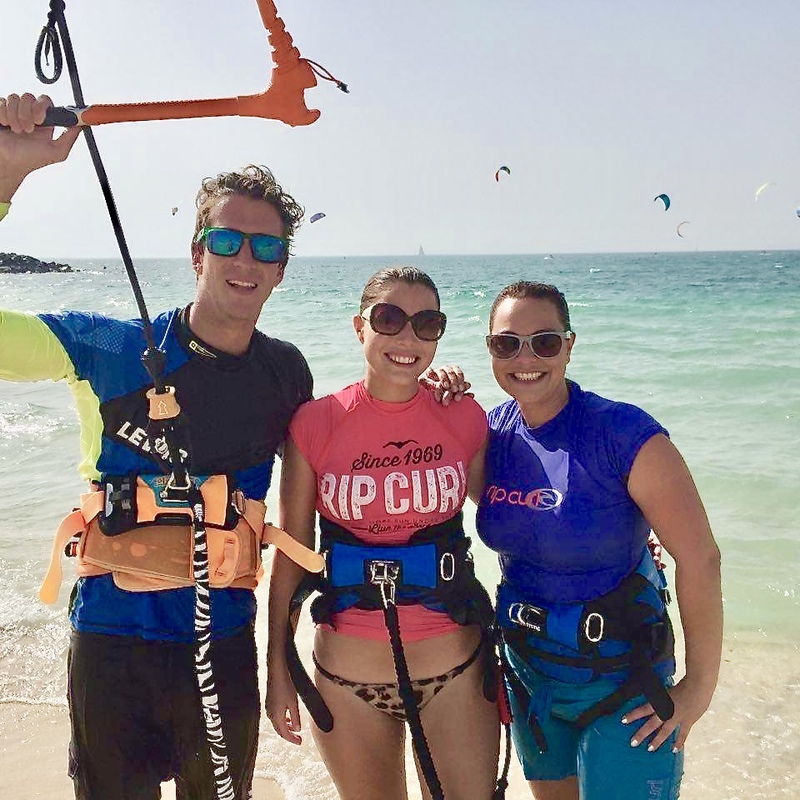 Through our hugely successful kitesurfing lesson package programme, we have taught hundreds of tourists visiting Dubai and many, many locals how to kitesurf safely, and we have had heaps of fun along the way! We strive to make kitesurfing accessible to people of all ages, shapes, and sizes. Whether you are simply looking to enjoy your vacation in Dubai on the beach or searching for your next adrenaline fix, kitesurfing can be the epic challenge you've been waiting for! Our goal is to teach you to become an independent rider; competent, confident, and part of our friendly kiting community. We offer customised private kitesurfing lessons that are tailored to each and every individual student. If you'd rather learn alongside a friend, we also offer group kitesurfing lessons. 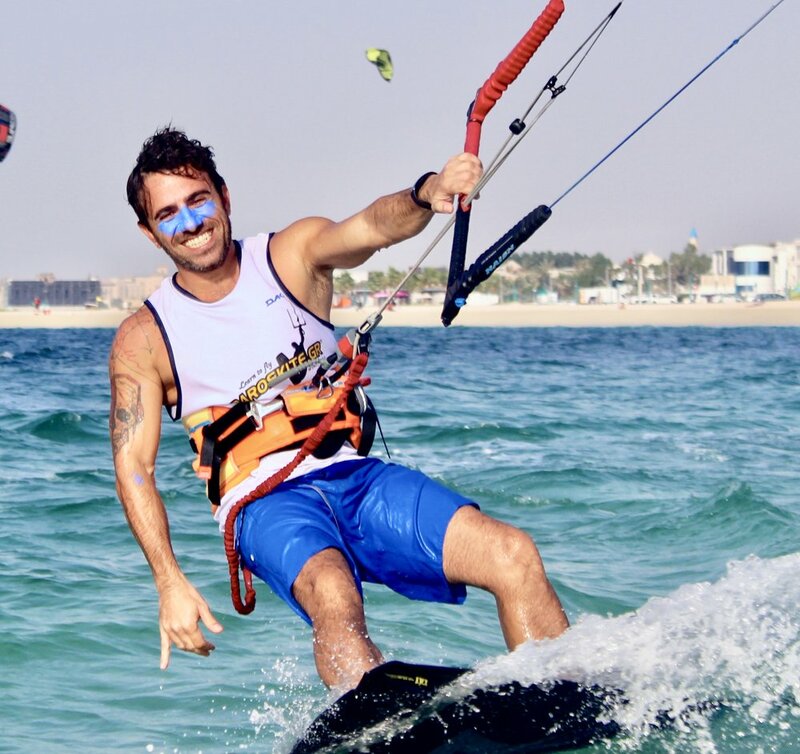 Kite Zone Dubai is proud to announce that we are now the first kitesurfing school in Dubai to offer an exclusive Tandem Kitesurfing experience to first-time flyers. This is the best way for kids to experience the thrill of kitesurfing whilst safely secured to their own instructor. Watch your little ones learn to ride in a matter of minutes! Thinking of Taking a Lesson...? Kitesurfing is a mixture of surfing, wakeboarding, & paragliding, incorporating the most thrilling and addictive features of these three sports. Chances are if you have tried either of these sports, you'll have a head start when it comes to kitesurfing! Kitesurfing is available to individuals of almost any age, shape, and size! The most important thing is that you can swim and have moderate core strength & flexibility. If you think you are lacking in these areas perhaps this sport is just what you need! Kitesurfing is when we harness the power of the wind with a large partially-inflated kite, using it to pull us over the surface of the water. We can ride on flat water, waves, and perform jumps using our kite to float through the air! SIZE MATTERS! There are different sized kites for different wind conditions and different sizes/weights of individuals. Larger kites are used (to catch more wind) on light wind days, and smaller kites are used (to catch less wind) in stronger winds! Kitesurfing isn't super difficult to learn, but it does require patience and perseverance. Getting frustrated because you are not riding like a pro on your first lesson is not cool! Stick at it, its well worth the wait! Kitesurfing may well become an integral part of your lifestyle, changing your weekly ritual, travel habits, and the people you come into contact with. This sport is a physical workout, a mental stimulant, & a great way to meet people! Everyone is different! On average it takes 6-10 hrs of coaching to get someone up and riding on the board! Buy a Kitesurfing Lesson Voucher for a friend and give them wings! Do you have a friend in need? Give them an unforgettable experience! CHECK OUT THIS VIDEO TO VIEW OUR KITESURFING SPOT! Located in Ness Nass Beach - Dubai, We teach Kitesurfing and Stand-up paddle boarding lessons to people of all ages! Come join us for a fun, fit, & friendly activity!